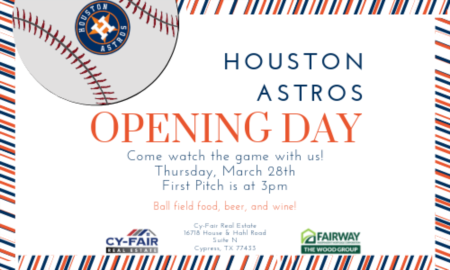 Join us on Thursday, March 28th for the Houston Astros Opening Day! 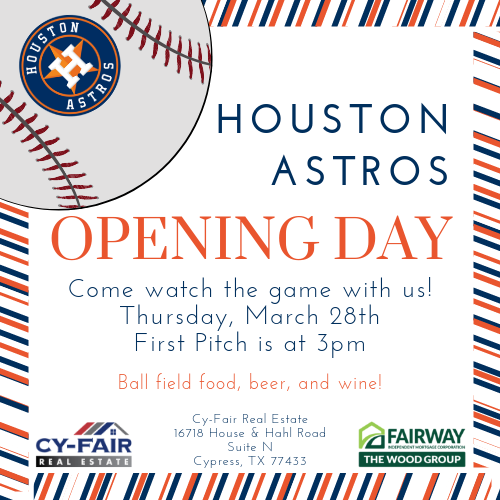 We will have free ball field food, beer, and wine for all who attend. The first pitch is at 3 pm and we will be here until the game ends.